Home / Blog / Why Do We Use Food-grade Polyethylene In Plastics Manufacturing? At Excelsior, we’re staffed by an expert team of engineers who are adept at manufacturing plastic products for a number of industries. 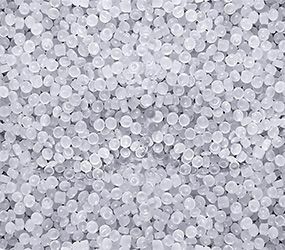 Our rotomoulding technique is our preferred way of fulfilling customer orders, and our material of choice is polyethylene. It’s a famously versatile polymer that can come in high-density and low-density variants, with some fantastic advantages to it that few other plastics share. Polyethylene has a wealth of benefits that make it exceptionally manageable for those of us in the plastics industry. It’s easy to manipulate and process, which means that we can manufacture products with the minimum of time and effort. This means faster production cycles and lower costs for us – both of which are benefits that you’ll also feel as our customers! Polyethylene is also famously versatile, so we don’t have to keep switching materials to make different products. Whatever you need, it’s almost certain that polyethylene will be the right plastic material for the job. Another practical benefit is that it’s lightweight, which again makes it universally useful to a whole range of industries – especially if what you’re using it for is something reasonably heavy-duty. Speaking of heavy duty, polyethylene’s natural toughness comes in handy for vast numbers of our clients, from those working in the sports industry to those in transport or construction. It’s one of the most rigid plastics available, which is what contributes towards its unrivalled durability. It’s not just at room temperature either; this toughness and durability still applies from temperatures as low as -400C to those all the way up to 900C. With that in mind, it’s no wonder that plastic products made with polyethylene typically have a notably long service life, able to take casual bumps and knocks for years or even decades on end. Another reason why Polyethylene is our go-to plastic material is because of its high corrosion resistance, which isn’t shared by every material in the same plastics family. It’s this same quality that also goes hand in hand with an excellent chemical resistance. Polyethylene itself is chemically inert, which makes it a very poor home for germs and bacteria. Many of the products we produce make use of food-grade polyethylene, which is widely used in the food packaging industry. When it comes to safety and hygiene, ‘food grade’ says it all! It’s also highly moisture resistant, which makes it brilliantly suited for things like animal water troughs, and similar products (because nothing leaks out of the bottom). As a final bonus, polyethylene is UV stabilised, which guarantees it long-lasting colour. While not a requirement for many of our customers, those who colour-code their equipment will be happy to know that the colour won’t degrade quickly over time, which makes it consistently easy to categorise equipment at a glance. If the above article still hasn’t convinced you of the main reasons why we use polyethylene for our products, then look no further than our case studies! On the other hand, you can click here to read more about the roto moulding process itself, or give us a call on 0161 765 2010 to discuss an idea for your next plastic product.